Holidaying in Britain is this year’s must-do if, like me, the recession (as well as the “summer” weather) has left you cold. For an inexpensive, fun-packed (no sarcasm here – I absolutely LOVE camping) staycation (I apologise for using that term) you can’t beat a good old camp. Our traditional British holiday pastime has experienced a resurgence in popularity in the last few years, with families, groups of friends and young couples all heading out into the wilderness to sleep under the stars. Whatever your tastes and minimum luxury levels, there’s something for you. Holidays range from wild camping in the highlands of Scotland with naught but a tarp and a sleeping bag, through those of us who like a little comfort with our canvas, right down to “glamping” which appears to be the placement of a five-star hotel room in the middle of a field. But wherever you are, and whatever form your accommodation takes, give a thought to safety – especially if you’re camping with kids. 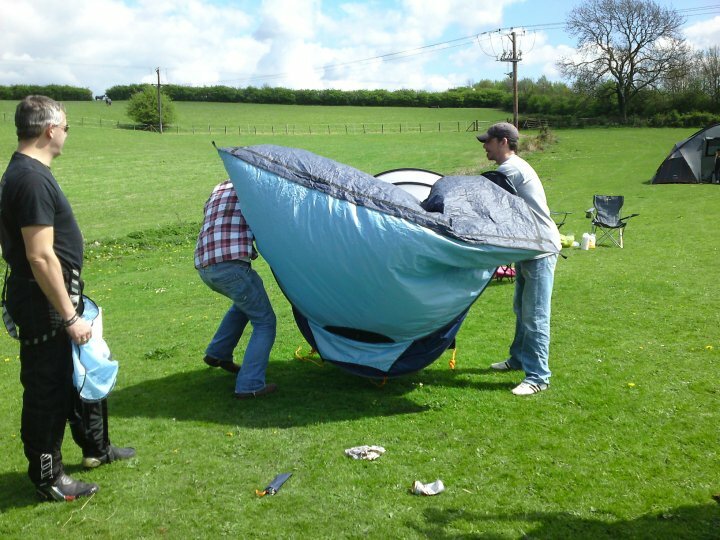 There’s plenty of advice on our new camping safety pages on the website, but here are a few hints and tips – especially useful for those who are new to the camping experience. There’s loads of information for new campers on the Camping and Caravanning Club website too. The first thing to keep in mind is that cooking on a camp stove or an open fire (if you’re lucky enough to be camping somewhere that allows them) is vastly different from cooking in your own kitchen. For one thing, it takes longer. Much longer. So much longer that spam not only seems tasty, but actually is tasty! And although food cooked outside tastes a million times better, there’s a chance that hunger (and perhaps a tipple or two) will make for clumsy hands. 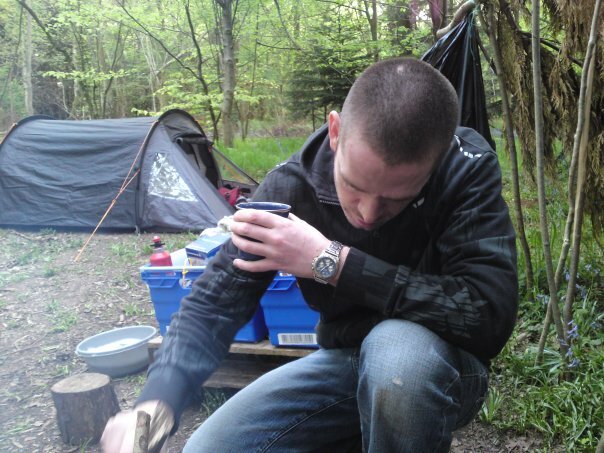 To cook, you need fire, and fire can be a real risk when you’re camping, particularly if you’re staying in a tent. Make sure you check the rules regarding open fires and barbecues at your campsite; some will not allow them at all and others will restrict them to designated areas. Practise using your stove before you go on your trip – and make sure the stove or barbecue is sited on a solid surface to reduce the risk of it falling over. Some tents are designed with cooking areas; but most aren’t, and cooking inside tents isn’t recommended. 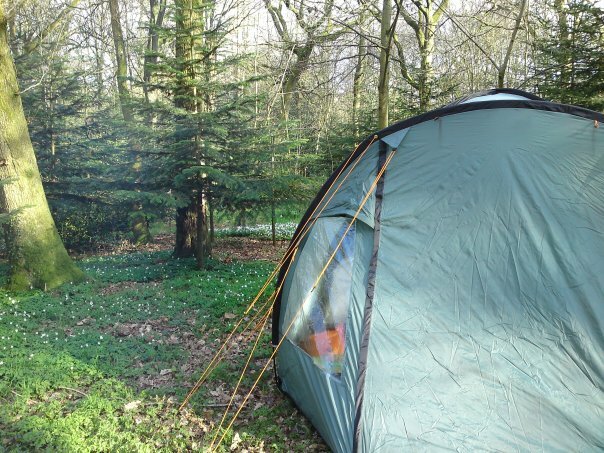 Apart from the fact that you can get lots of condensation inside your tent, even a fire-resistant tent may burn. Investing in a tarpaulin is a good idea – they provide shelter from the elements, and mean you won’t be tempted to cook inside your tent. Use torches, rather than naked flames, for illumination inside tents. And be particularly mindful of the risk of fire inside smaller tents with only one exit (I’m paranoid – a sharp knife could be a lifesaver in a burning tent with only one way out). Do you have a plan for if a fire gets out of control? Make sure you know where you can get water. It’s always tempting to leave barbecues smouldering away overnight; however, it makes for a more easy sleep if you dampen down any fires and make sure barbecues and stoves are out completely before going to bed. On a more serious note, one risk that is probably unknown to most campers (particularly first-timers) is that of carbon monoxide (CO) poisoning. Most of us know about the risks posed by carbon monoxide in houses; but it can also be a serious threat while on holiday. The burning of all fossil fuels produces CO and there have been deaths and serious injuries from CO poisoning in tents and caravans, including two incidents in which this is suspected this summer. Do not use stoves or disposable barbecues (for cooking or warmth) in an enclosed space with poor ventilation. If you have a decent sleeping bag, warm clothes and a camping hat (an essential camping item), you shouldn’t need to take anything that burns fuel into your tent for warmth. Caravanners should have gas-powered appliances serviced annually, much like you would at home, and should consider using an audible carbon monoxide alarm inside their caravan as a last line of defence. Many serious accidents involving young children on holiday, including drowning, happen on either the first or last day when there are lots of distractions, so ensure that the supervision of young children doesn’t break down during these busy times. If a child wanders off, check water sites such as ponds, lakes and swimming pools first. Finally, you’ll need the gear! Whether you’re a minimalist, a traditionalist, a happy camper or a glamper, GearWeAre will have reviewed something you need or – more likely – want. They’re a fully independent review site, and break things so that you don’t have to. 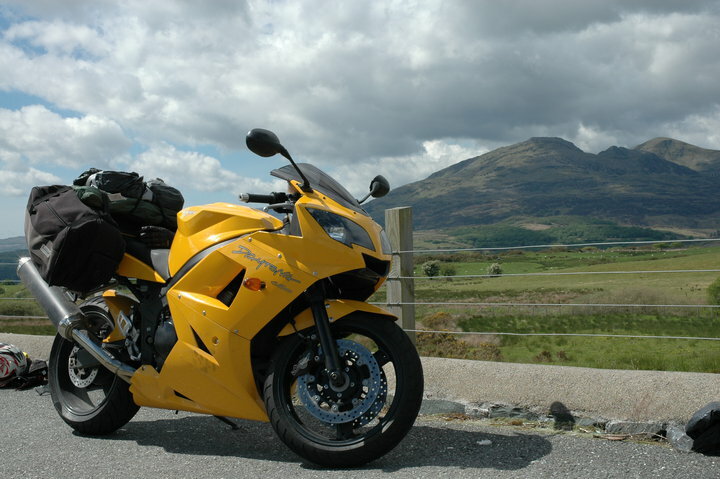 So, you’ve got the knowhow, the perfect site, and all the gear you need – get out there and enjoy the great outdoors. Take advantage of the fact that there are no city lights, and look at our magnificent Universe. And while you’re doing all that – stay happy and safe!